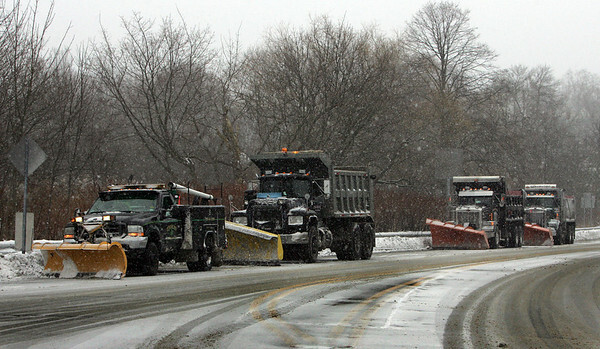 Gloucester: Snow plows sit of the Rt. 128 extension waiting to hit the street during the snow storm Saturday. Mary Muckenhoupt/Glouester Daily Times.